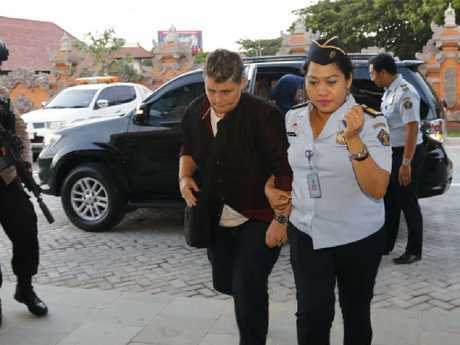 Amid chaotic scenes at Bali's Bangli prison, Bali Nine heroin courier Renae Lawrence has taken her first steps of freedom. Lawrence is on her way back to Australia after being ushered out of the jail and into a huge media crush. The 41-year-old made no comment as she was ushered into the waiting car bound for Bali airport. Renae Lawrence boards her plane to Brisbane. The former inmate goes through security at Bali airport. 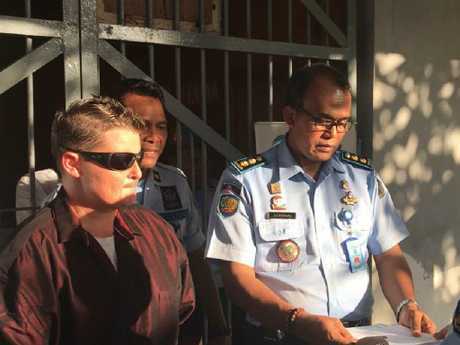 Bali Nine drug courier Renae Lawrence leaves Bangli jail. Picture: Liam Kidston. Lawrence and immigration officials were escorted by police to the airport - where she was reunited with her family - and boarded a flight bound for Brisbane just after midnight (AEST). She is due to land in Brisbane about 6am (AEST). After her chaotic exit from prison, she was able to finally take a breath as she met her mother Beverley Waterman and brother Allan in an immigration room at the airport as she waited for their flight. Her scheduled 9.10pm flight was delayed by more than 30 minutes, finally lifting off at 9.34pm Bali time. Lawrence thanked jail staff on her way out, said officials. 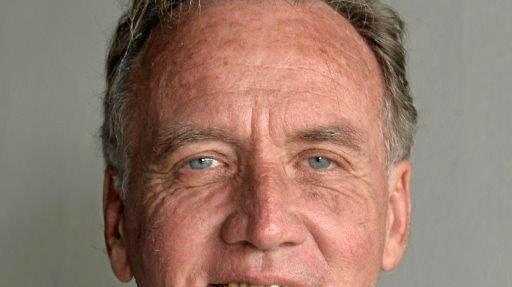 Bangli jail governor Made Suwendra said Lawrence had thanked jail staff as she left and apologised for her mistakes. He said Lawrence told him she was nervous. Before leaving the women's block, a tearful Lawrence hugged her girlfriend, Erna, and other female prisoners. Renae Lawrence is escorted through Bali airport on her way to Immigration. "All the women prisoners took her out from the women's block and they were hugging and crying," Mr Suwendra said. "Some of her friends were also crying." As she walked along with officials toward the jail's front entrance she was seen waving goodbye. Minutes before Lawrence was freed, Maryoto Sumadi, the head of Bai's Justice Ministry, held a media conference. He said Lawrence had been banned from coming back to Indonesia for life and her name had been placed on a border control management system. But he later said she could make an application to re-enter and the Government would decide. "Renae Lawrence is banned for life because she committed a drugs crime," he said. 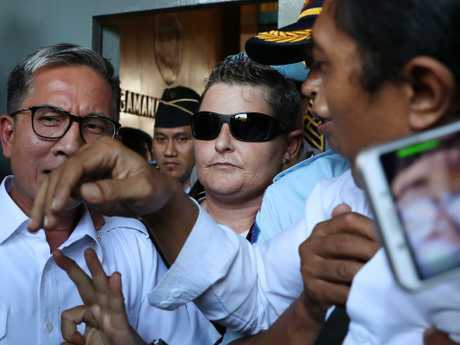 Bali's justice officer Maryoto Sumadi said Lawrence had "completed her sentence according to the decision by the Bali High Court on April 13, 2006". Renae Lawrence appeared tense as she finally left jail. As the convoy from the jail drove along Bangli's narrow streets it encountered a traditional Balinese ceremony, women walking with offering baskets. Lawrence's mother and brother were not at the jail for the release and were believed to be waiting at the airport for her. In all, Lawrence served 13 years and seven months. Bangli jail is overlooked by the Mt Agung volcano and surrounded by rice paddies. The temperature is also more mild than Kerobokan and many say that Lawrence's move there in 2014 was the best thing to happen to her. The Bangli jail governor, Made Suwendra, has praised Lawrence and says he hopes that upon her release she will take a righteous path and be accepted by the Australian people. 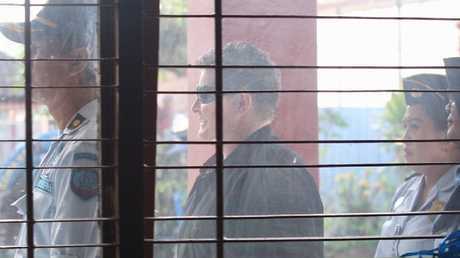 Lawrence is the first of the Bali Nine to be released from jail, having received the lightest sentence of all nine. Lawrencereceived a 20-year sentence while the other eight were sentenced to death or life in jail. 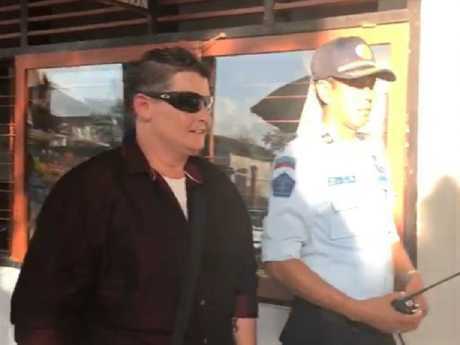 Renae Lawrence is escorted into Bali airport by Immigration officials. They were all convicted of a conspiracy to smuggle 8.2kg of heroin from Bali to Australia. Thee of the nine have died - Myuran Sukumaran and Andrew Chan were executed by Indonesian firing squads in April 2015 - andTan Duc Thanh Nguyen died earlier this year of cancer. The remaining five - Matthew Norman, Si Yi Chen, Scott Rush, Michael Czugaj and Martin Stephens - are all serving life sentences,with no prospect so far of release. Only Norman and Chen remain in Bali's Kerobokan prison, where their prison governor thisweek described them as "remarkable human beings" who he says deserve to be freed. 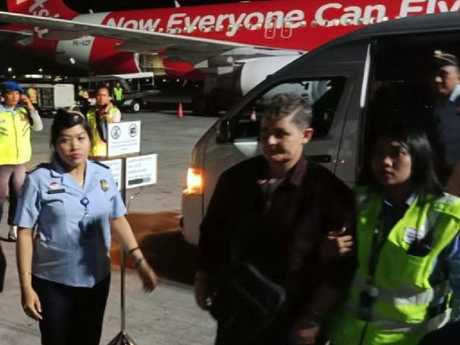 Scott Rush is in the narcotics jail in Bangli in Bali while the other two are in jails in Java. Lawrence's sentence was the most lenient in recognition of the assistance she provided to police immediately after her arrestwhile others pleaded innocence and no knowledge of the 8.2kg of heroin strapped to the bodies of the four couriers. The couriers were arrested at Bali airport on April 17, 2005 shortly before they were due to board a flight to Sydney. Alsoarrested at the airport was Andrew Chan, although he had no heroin on him. 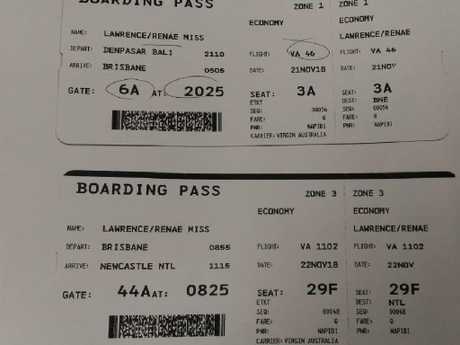 The boarding passes of Renae Lawrence show she will fly to Brisbane and then on to Newcastle. 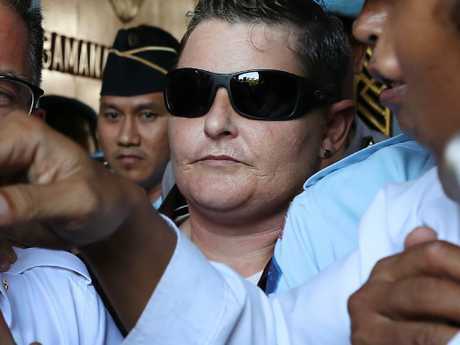 The Bali Nine drug courier appeared nervous, say witnesses. The other four were arrested simultaneously at a hotel in Kuta and the nine were convicted of a conspiracy to smuggle drugs. 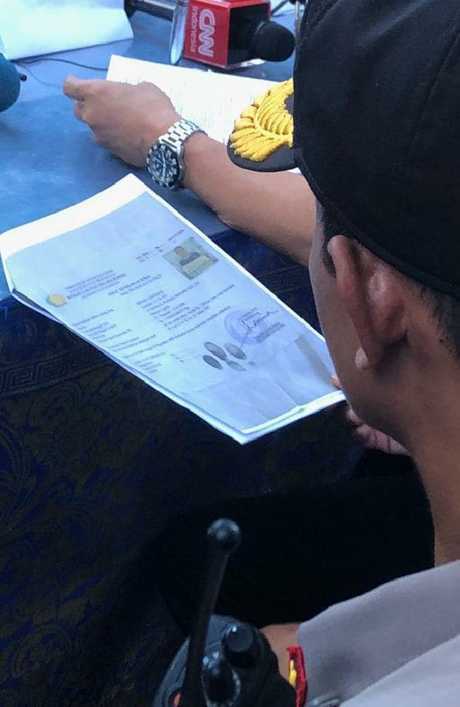 Their arrest followed a controversial tip-off from the Australian Federal Police to their Indonesian counterparts. Lawrence was, for the initial part of her sentence, a trusted inmate at Kerobokan jail where she was a tamping or leader of the women's block. But that all came crashing down in 2013 when she was accused,with another prisoner, of a plot to kill a prison guard. Lawrence denied the allegation but the jail boss was furious and had her transferred out. She ended up, eventually, in Banglijail. Here, in the wake of the execution of Andrew Chan and Myuran Sukumarn in 2015, Lawrence took up painting and had a pet Balidog called Oz, as well as a pet turtle. She initiated fellow prisoners to paint colourful murals on the formerly drab concretewalls inside the jail. More recently she works with fellow prisoners, making handicrafts, which are sold outside. Most recently it has been Christmas decorations. Before she walked out the jail doors, Lawrence had a medical check by the Bangli prison doctor who declared she was well. As she took her first steps outside, Lawrence appeared calm and confident, wearing a black shirt and dark sunglasses but she had not covered her face. 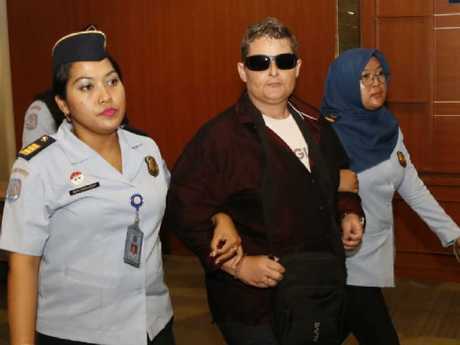 "She said that she is sad and afraid because she has to say goodbye to her friends who she has been living together with for years," Bangli jail doctor Gusti Putu Sumertayasa said. "But she is happy for sure."